Moisturiser -Helps the fight off itchy dry skin while eliminating insomnia. Lavender essential oil – excellent for improving mental concentration, reducing stress, calming agitation and alleviating insomnia. Studies have found that lavender calms the nervous system — lowering blood pressure, heart rate, and skin temperature as well as changing brain waves to a more relaxed state. Geranium oil- Helps to reduce stress and depression, which helps improve blood circulation . This floral sweet-smelling oil calms and relaxes the body and mind. Candle – A beautiful, high quality, authentic essential oil soy candle. which includes all natural Vanilla, Geranium and Lavender to help clear your thoughts, boosts relaxation. Lavender essential oil also has beneficial stress relief qualities and defeating insomnia. Unlike regular candles, ZahMal Candles employ a variety of essential oil blends for an unadulterated scent & light that stays with you for long hours – No harmful chemicals are added for scent or appearance purposes. 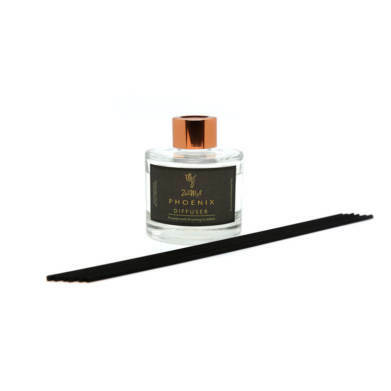 Reed Diffuser – Enjoy a luxurious scent of Vanilla Ice Cream. Made with pure essential oils to release a more relaxed and calm feeling. Bath Salts – De-stresses and detoxifies. Infused with a blend of Himalayan pink salt and essential oils to ease away the stresses of the day, coconut oil to moisturise and hydrate the skin and baking soda to defeat body odours caused by long days.